Google’s new AdSense for Shopping closely resembles a popular promotional product on Amazon: Product Ads. For six years now, merchants could display products on Amazon that click back to a merchant’s site to purchase. The products look like they’re sold on Amazon, but they are actually Amazon Product Ads. Sample Product Ads, on Amazon.com. Merchants can now do the same thing on other sites, such as Walmart.com, using Google’s AdSense for Shopping, which integrates AdSense and Product Listing Ads. Recall that AdSense is a method for sites to make money off their traffic by selling ad real estate. First, the sites (called “search partners”) sign up for AdSense. Then, when advertisers designate Google AdWords to show their ads on search partners’ sites, the advertisers pay search partners for every click they receive. 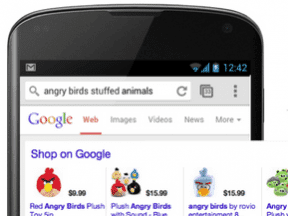 Product Listing Ads, also called Google Shopping, is a way to market individual products through Google AdWords by bidding to show those products for relevant searches. AdSense for Shopping integrates AdSense ads with Product Listings Ads. 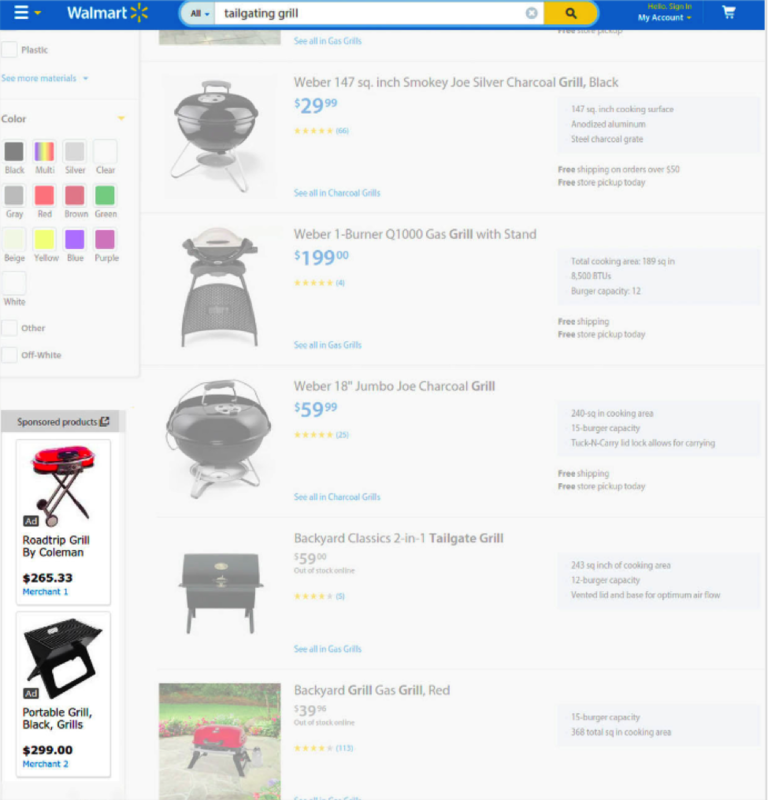 Here’s a screenshot of what AdSense for Shopping looks like on Walmart.com, under the “Sponsored products” column at the lower left. Walmart’s AdSense for Shopping display, on the left under “Sponsored products.” Image: Google. Walmart benefits by receiving a new source of ad revenue, similar to Amazon. For Google, it presumably does not have to worry about Walmart getting into the ad space too aggressively. Retailers who advertise with Google Shopping ads will see that those ads are now appearing, by default, on search partner sites too. To not appear on search partner sites, Google Shopping retailers much opt out. To see how this new change is affecting your Google Shopping campaigns, do the following steps. Go to: All online campaigns > Campaigns. Go to: Segment > Network (with search partners). Got to: Columns > Customize Columns > Conversions: Add Total conv. value > Apply. You can target what products to show on AdSense, by removing a particular Google Shopping campaign from these search partners. If your campaign infrastructure is highly segmented, then this can be quite effective. For example, you can suppress all campaigns from search partners except for your best sellers’ campaign, as follows. Go to: Settings > Networks > uncheck “Include search partners” > Save. It shouldn’t be long before Google allows you to see what sites your Google Shopping Product Listing Ads are showing up on. You can currently do this for other display campaigns with these steps. Go to: All online campaigns > Dimensions. Columns > Level of detail: Add Campaign > Conversions: Add Total conv. value > Apply. Export and enjoy diving into the data. You can also choose what sites you don’t want to show on. But until it’s possible to see what sites you’re on, you won’t be able to verify whether “Campaign placement exclusions” will apply. Regardless, it’s something you should think about during this transition. Excluding a site can be beneficial. Just because YourCompetitor.com wants to show your ads, doesn’t mean you want its traffic. Use the following simple steps to exclude your ads from showing up on any AdSense site. Got to: Shared Library > Campaign placement exclusions. Go to: + List > List name example: “Direct Competitors” > Placement example: EvilSite.com > Save. Want to add AdSense for Shopping on your store? Most retailers will want to think about how they can get their ads to show up on sites like Walmart.com. 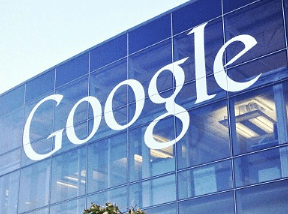 Others who already use AdSense on their own sites will want to opt-in to Google’s new program. Request it from Google here.